All that you wish on vacation It is located directly on the beach and has a pool with bar, a large garden and 12 studios & 2 Suites. 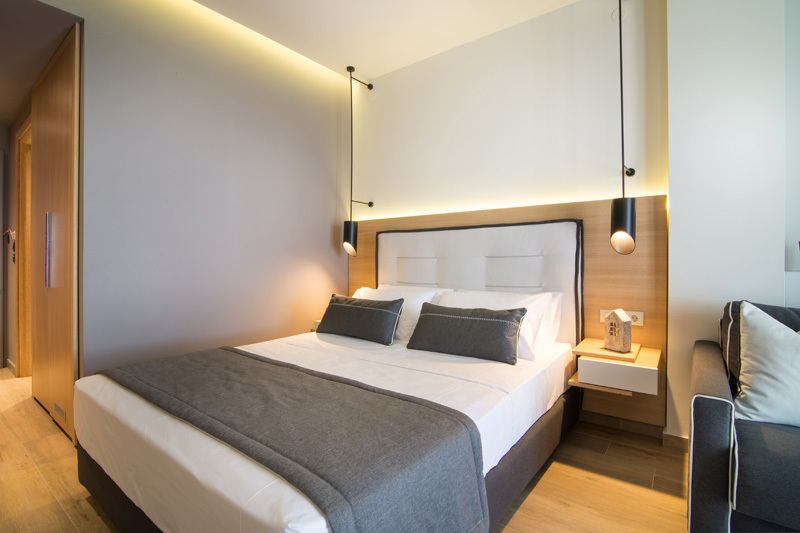 2 junior suites each for 2-3 adults or for 2 adults + 2 children (30 sqm + balcony 8 sqm): These two tastefully furnished junior suites are new and offer every comfort; A double bed, a sofa bed, a well equipped kitchenette, a bathroom with shower / WC and a balcony with garden furniture and sea view. 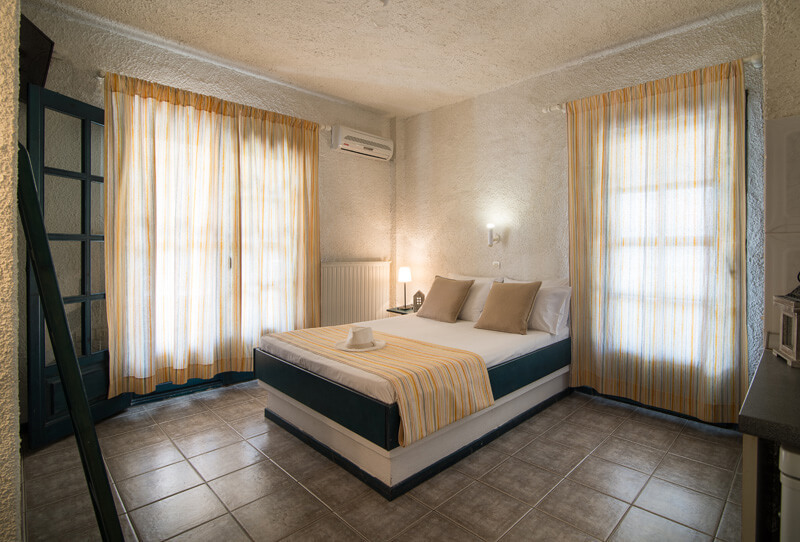 Studios for 3-4 persons: The studios contain 1 built-in double bed and 1 built-in single bed (additional bed is possible), a well equipped cooking niche (small stove with oven etc. ), shower/WC and a balcony (1st floor) or terrace / veranda (basement). Six of the studios have central heating.